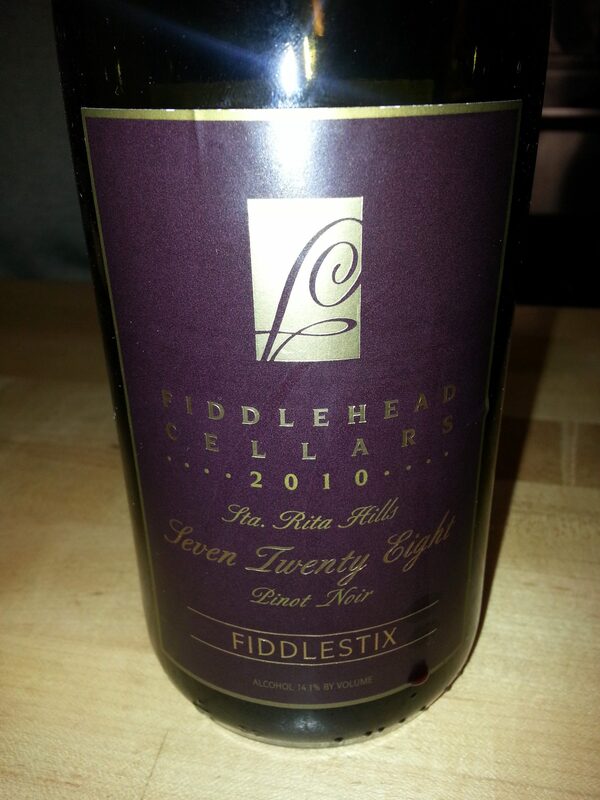 Every day is a good day to drink Fiddlehead ‘728’ Pinot Noir, but it was especially fun to drink it on 7/28/13 when Fiddlehead Winery hosted a National Virtual Toast to celebrate their wine. 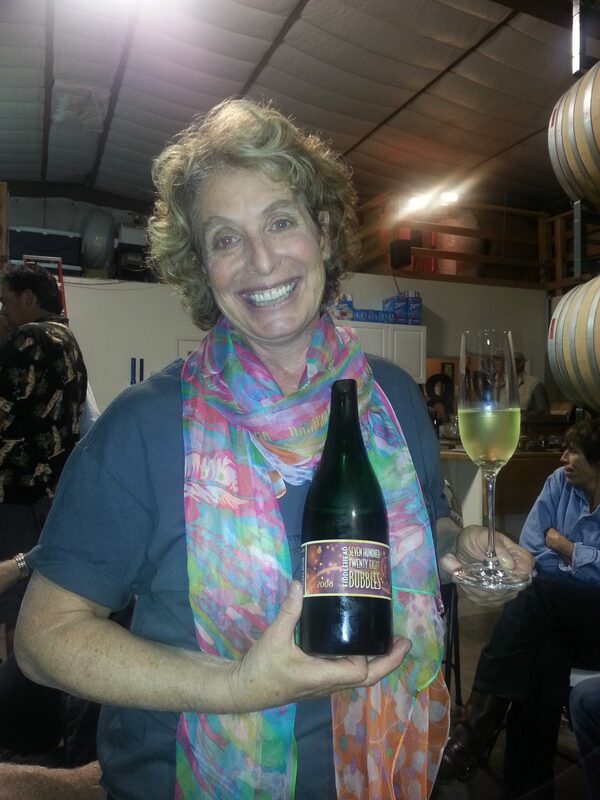 We headed up to Lompoc for the day where they hosted a party in their tasting room in the Lompoc Wine Ghetto. 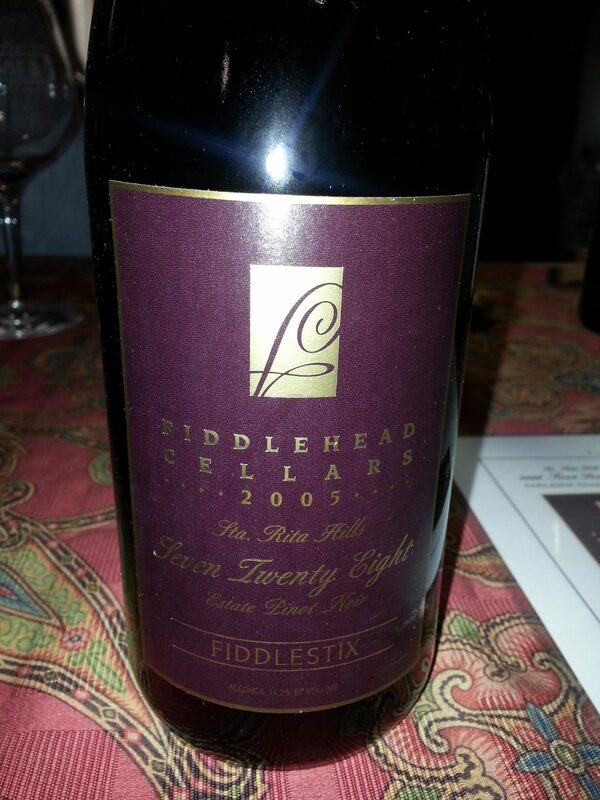 At the party, we tasted through six vintages of Fiddlehead ‘728’ Pinot Noir from the Fiddlestix Vineyard, plus a few other treats. 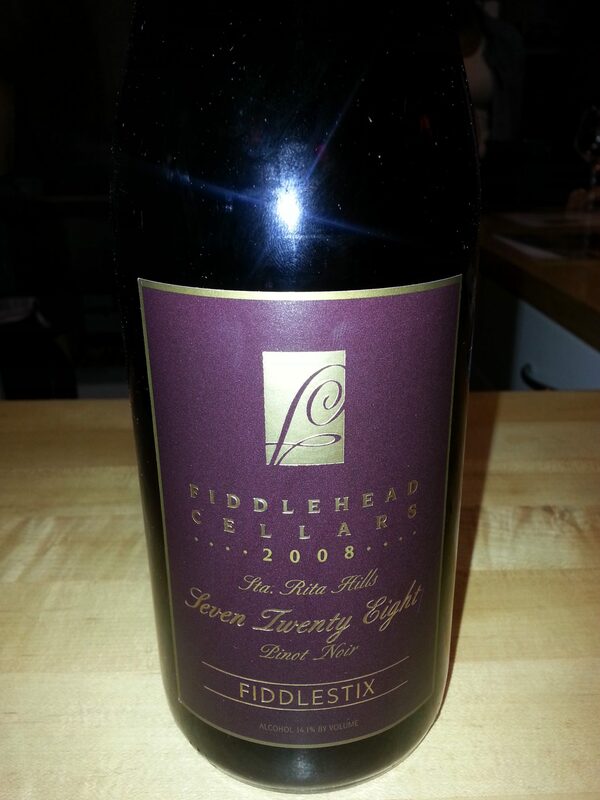 Fiddlehead ‘728’ Pinot Noir is named after the mile marker 7.28 of the Estate Fiddlestix Vineyard on Santa Rosa Road in the heart of the Sta. Rita appellation. The vineyard has six clones planted which are blended for the Pinot Noir. 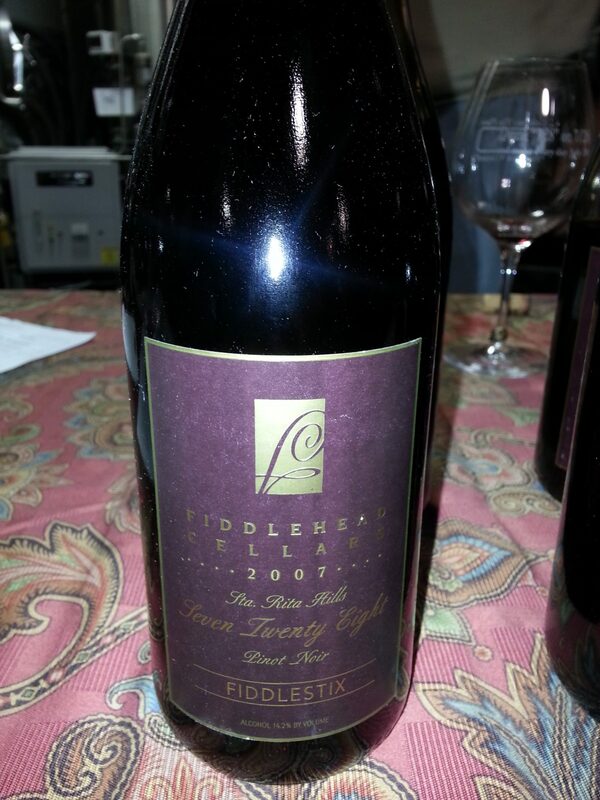 The cool climate and the terroir influence the wine in that the Fiddlehead Pinot Noirs have great color, spicy aromatics, acidity and notes of smoky, black cherry cola. 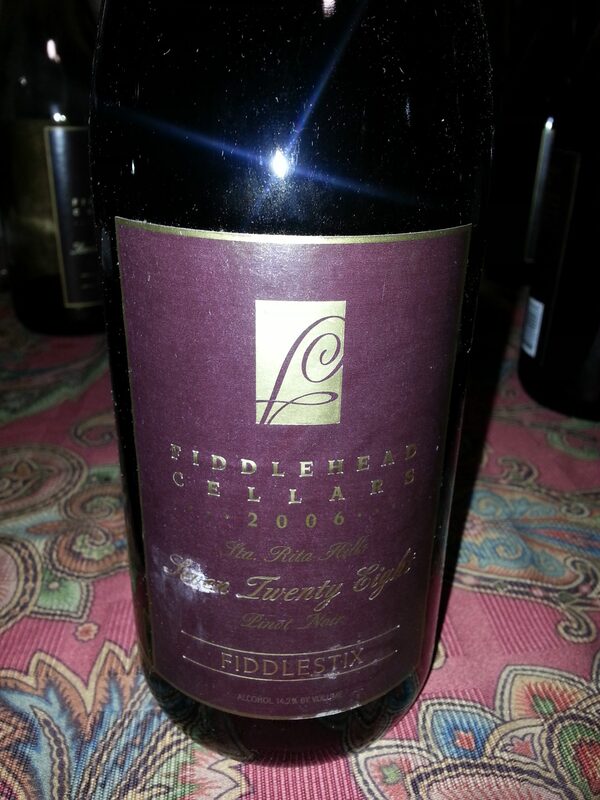 We also got to taste a few other Fiddlehead treats! 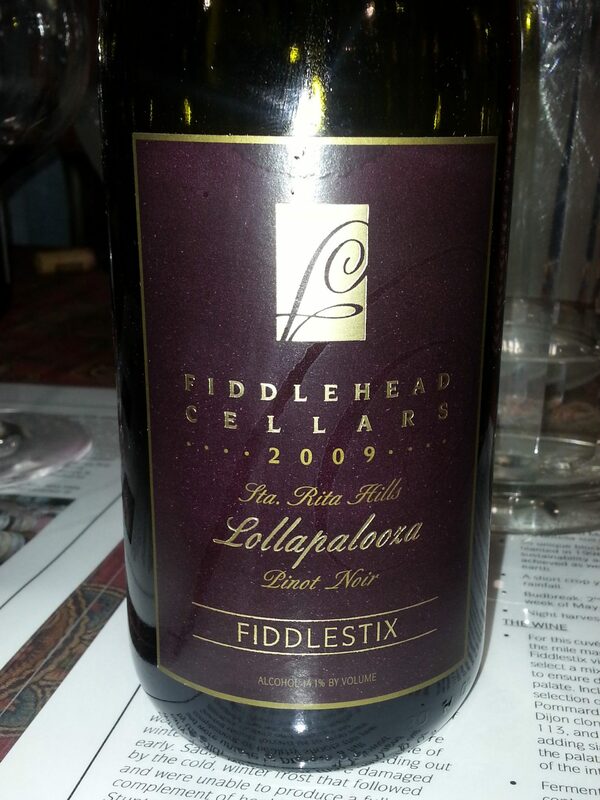 Notes of strawberry and flowers, this is a fun wine….and who doesn’t love pink wine? Made from 100% Pinot Noir and made in the traditional Champagne method, this bubbly wine is bright and crisp with yeasty notes. 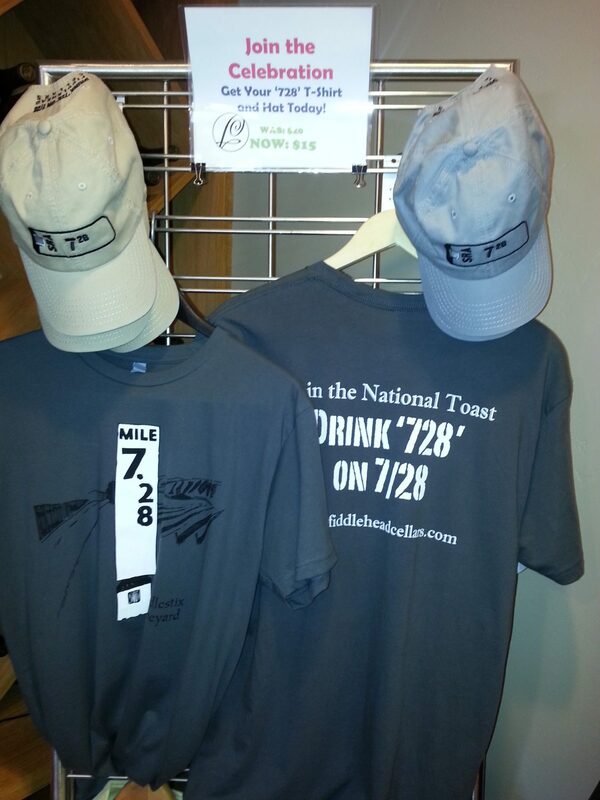 As not everyone could make it to the tasting room on 7/28, Fiddelhead fans around the country threw their own parties to toast the day. 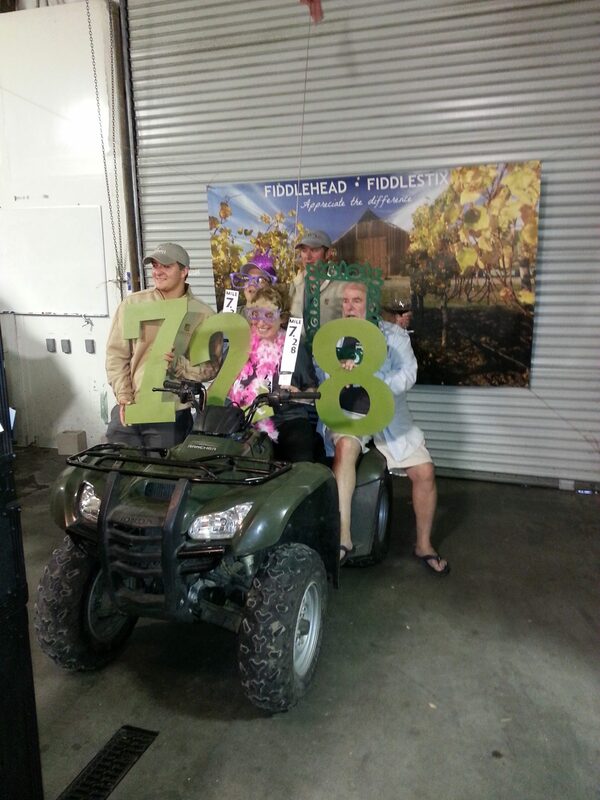 To see all the celebrations, go to the Fiddlehead Facebook Page where guests posted their photos for a chance to win prizes. 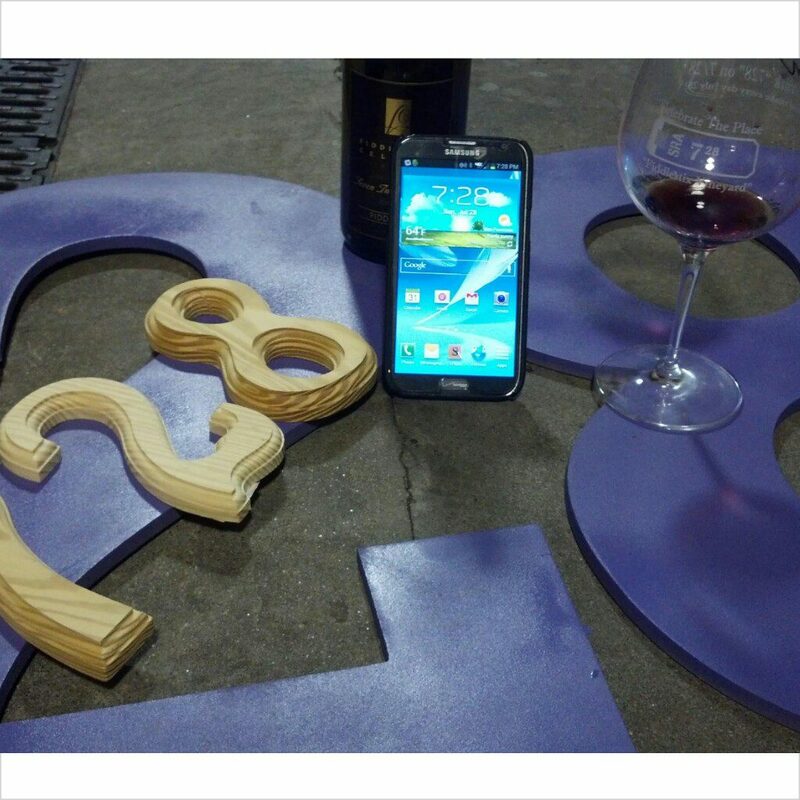 One particularly fun post was from a group who worked out with their Fiddlehead 728! 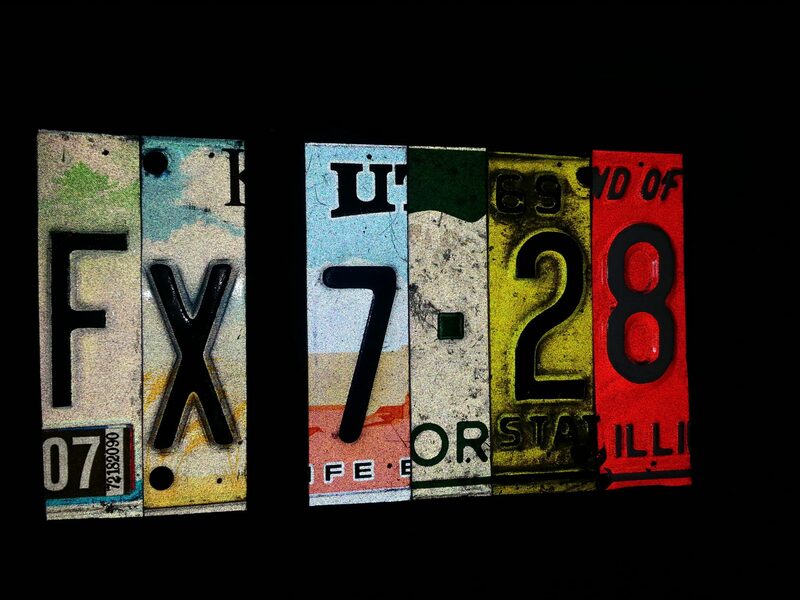 Check out the video here! 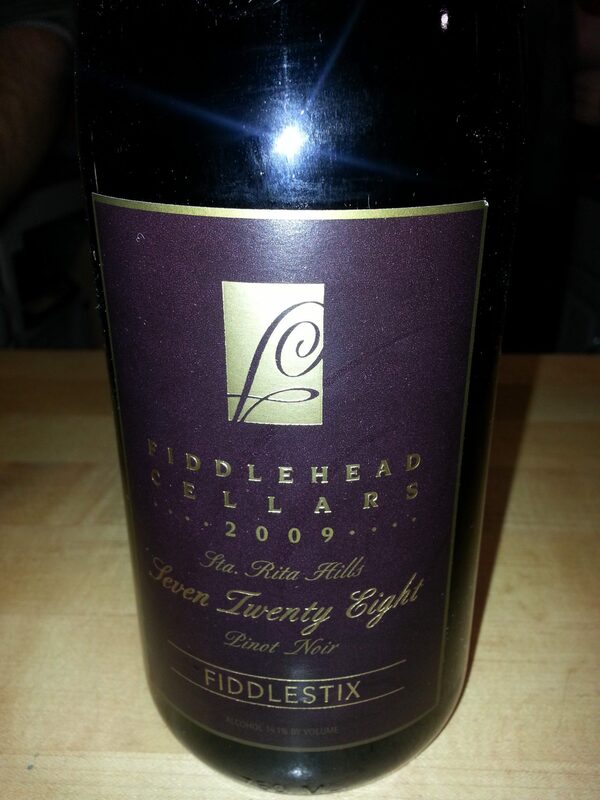 This entry was posted in Lifestyle, Wine and tagged Drink '728' on 7/28, Fiddlehead, Fiddlehead ‘728’ Pinot Noir, Fiddlestix Vineyard, Happy Canyon Sauvignon Blanc, Kathy Joseph, Lollapalooza, Lompoc Wine Ghetto, mile marker 7.28, National Virtual Toast, Pink Fiddle, Pinot Noir, Rose of Pinot Noir by Allison Levine.